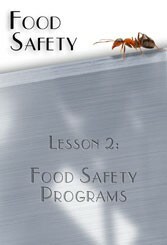 A food safety program is based on the principles of H.A.C.C.P, an internationally accepted prevention and risk based safety program. A well implemented food safety program is designed to improve the safety of food handling practices, and ultimately reduce the risk of food contamination and illness. The importance of corrective action.